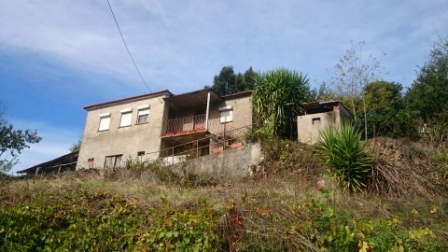 Just €89,000 when fully renovated! Just €89,000 to convert into a large 3-4 bedroom house with 2 bathrooms and large open plan kitchen/diner/lounge. There is also a separate barn. But before we get into the detailed description of Azival let’s have a peek around by CLICKING HERE to see a photo gallery. This property comes with 1250m2 of land. Containing 12 olive trees, a large fig tree, apple trees, cork oak and grape vines with the option of an extra 1500m2 of land if needed! As always get in early and put your own stamp on this beautiful property.This house will have a new roof, new flooring, new electrics and new plumbing. Also includes a bread oven and built in BBQ area, essential for alfresco cooking! The busy market town of Mortagua with all of its amenities is just 4km away, here you have a choice of great restaurants, cafes, bakeries and supermarkets, banks and main line train station with excellent connections to the city of Coimbra – and beyond.